Provide comfort for the family of Leslie Buck with a meaningful gesture of sympathy. Peacefully at the Almonte General Hospital on Thurs Feb 7 2019, in her 66th year. Preceded by her parents Irwin and Margorie Buck, Survived by her siblings Reynold (Karen), Lawrence (Matina), Elizabeth, Lorna (David) Donnalynn (Denis) along with many nieces and nephews. She was an extraordinarily, resilient, and determined lady. 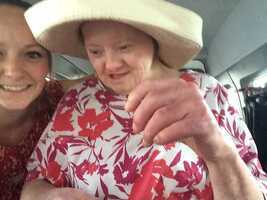 Leslie never complained and she faced every adversity with a smile on her beautiful face. Leslie didn’t ask for much but gave everything to everyone. She made a tremendous impact on all those fortunate enough to be in her life. 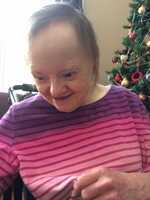 Celebration of Life will take place on Wednesday February 20th, 2019 from 2 to 4 at her home at 252 Clayton Road, Almonte. Words cannot describe how thankful Leslie was to have people who have supported her throughout her life. She will be sadly missed by her friends. A special thank you to Mills Community Support Staff at Clayton Road, who have supported Leslie in having an enriching life. Donations can be made to the Alzheimer’s Society of Lanark County. Leslie's Home - 252 Clayton Road, Almonte, ON. Donations are being accepted for: ALZHEIMER SOCIETY OF LANARK COUNTY. Provide comfort for the family of Leslie Carol Buck by sending flowers. 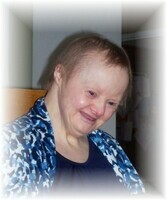 Leslie was a beautiful woman with a strong heart and a lovely laugh. She will be very missed by so many people. I am sorry for your loss. Continue to let your fond memories of Leslie warm your hearts as you await the fulfillment of God’s promise to resurrect our loved ones. John 5:28, 29. To the family and friends of the deceased: Please accept my sincere condolences. It breaks our hearts when death separates us from our family and friends. Although she has completed her earthly journey, please remember what the scriptures says at Job 14:7, "For if a tree is cut down it will sprout again. Looking forward with you for the wonderful day when those we miss so much awakens from their sleep. 1st. Thessalonians 4:13-14, John 5:28-29 and most of all Revelation 21:3-5 where it says no more pain, sickness or death. May the promise from the scriptures give you hope.